During September 2013, weather systems from two tropical storms named Manuel and Ingrid combined with a slow-moving cold front to drench Colorado’s Front Range with record rainfall. 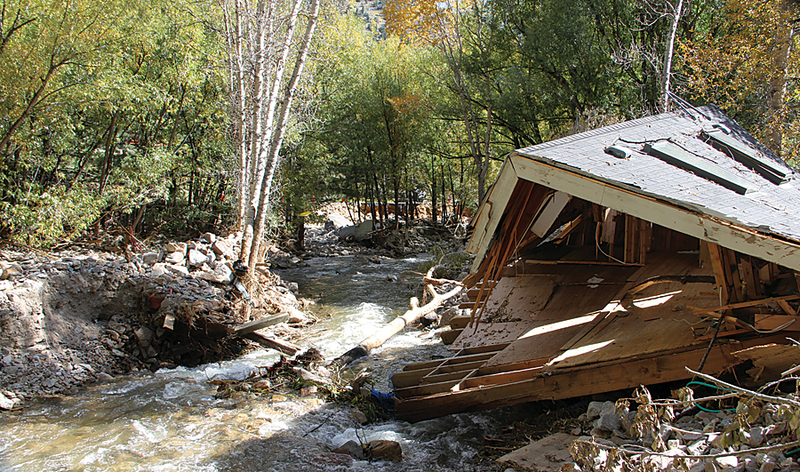 The Colorado Department of Public Safety was heavily impacted by the devastating floods. GIS technology provided a key mechanism for understanding the evolving nature of the floods and making informed decisions that safeguarded citizens and drove recovery efforts. Areas throughout the state, especially those north of Denver, experienced rainfall amounts that matched or eclipsed their annual totals in the span of just a few days. Rivers, streams, and reservoirs in the region surged with the influx of precipitation. By September 12, widespread flooding stretched across nearly 2,000 square miles of the state. Storms and flooding claimed the lives of 10 people, drove more than 18,000 residents from their homes, and completely isolated mountain communities such as Lyons. Countless buildings, roadways, bridges, and critical infrastructure were damaged or destroyed, causing hundreds of millions of dollars in damages. During any disaster, governments ranging from local towns all the way to the state and federal levels activate their emergency procedures. Efforts range from protecting lives and property and communicating with the public to documenting damage and developing and executing recovery plans. The flooding in September 2013 damaged or destroyed countless buildings, roadways, bridges, and critical infrastructure, causing hundreds of millions of dollars in damages. Photograph courtesy of Micki Trost, Colorado DHSEM PIO. Tabatha Waldron, geospatial analyst for DHSEM, was responsible for providing maps and imagery to key decision makers and assisting local jurisdictions with their GIS and imagery needs. Using the entire ArcGIS platform, including an ArcGIS Online organizational account, Waldron’s first task was to help decision makers understand the scope of the situation and where flooding and damage were occurring. She used an ArcGIS Online Group to share information with the public, decision makers, and other SEOC staff. “Maps are the perfect tool to provide answers to these questions in a quick and visual way,” Waldron said. Waldron worked alongside her peers at SEOC as well as with local, state, federal, and private partners to collect data and create focused maps related to road closures, traffic control points, evacuation areas, damaged facilities, and georeferenced aerial imagery. Taken together, these maps and data created a common operating platform that decision makers were able to access in support of response and recovery efforts. SEOC personnel used the maps to maintain situational awareness, and regional field managers used maps and imagery to make decisions that supported their local counterparts. Hundreds of response personnel accessed the maps to visualize impacted areas and orchestrate response efforts. Selected maps, such as road closures and shelter locations, were also shared with the public. The common operating platform offered by ArcGIS helped leadership understand the size, scope, and proximity of the crisis. 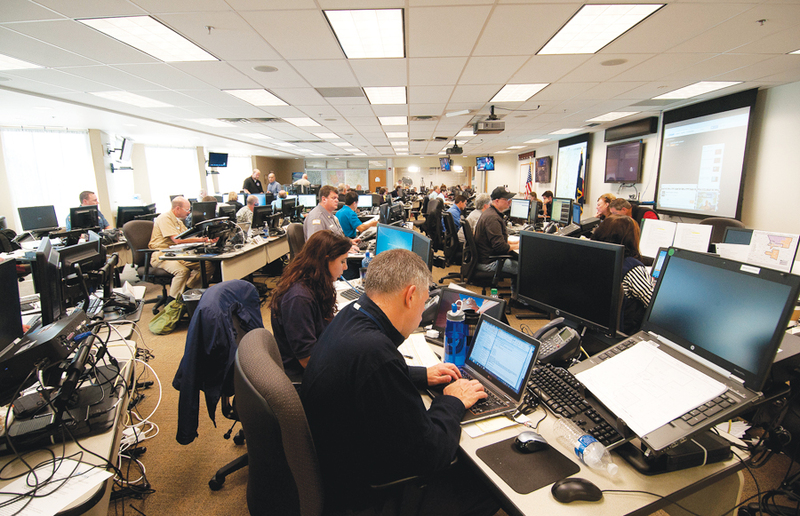 “The benefit of having access to the maps and information was invaluable to the EOC and operations staff,” said Kevin Kuretich, Regional Field Manager for the Colorado DHSEM. For more information, contact Tabatha Waldron, geospatial analyst, Colorado Department of Public Safety, Division of Homeland Security Emergency Management.